Another view of one of the major sections of the 'peace line' that stretches between the Catholic and Protestant areas of west Belfast. 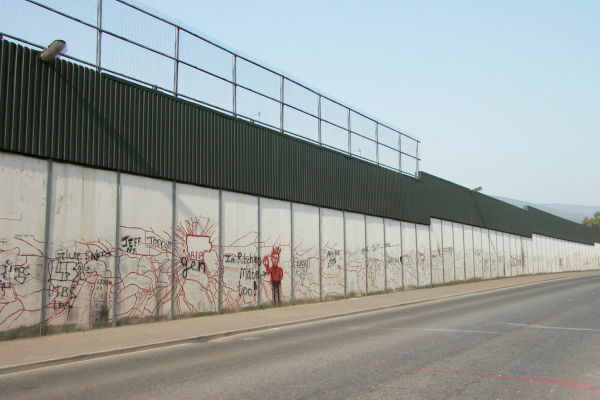 As well as the usual local graffiti, in the recent past the wall has been used by tourists to leave written messages of their thoughts and feelings about the wall and the conflict. Close-up photographs of a selection of the messages are included in this section (see index).